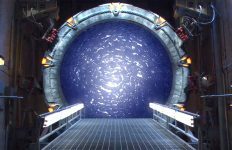 Eric McCormack has confirmed that the Netflix series, created by Stargate's Brad Wright, will not return for Season Four. One of the best science fiction dramas on TV today won’t be back for a fourth season. 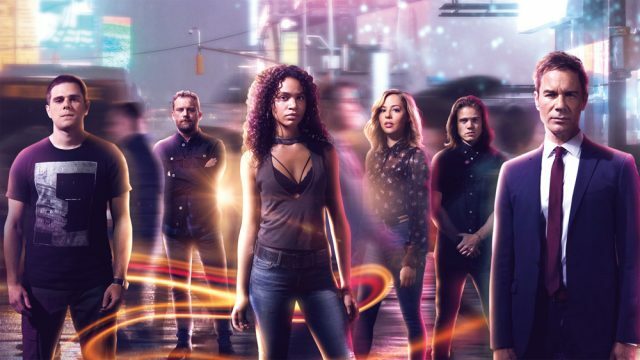 Netflix has cancelled Travelers, the show created by Stargate SG-1 co-creator Brad Wright. Series star Eric McCormack broke the news on Twitter this morning, alluding (no spoilers) to the events of the final episode. “A lot of you have been asking about the possibility of a Season Four,” McCormack said, “but many of you have been saying, ‘Look, if this is it, what a moving and surprising and profound ending it is.’ Well, I’m afraid it is. “Who knows what the future holds. But ‘Travelers Program 1,’ as we call it, is complete. So very grateful for it all. Thank you to @bradtravelers, all the phenomenal writers, cast, crew, producers, and all of YOU @TRVLRSseries fans who watched and supported us and shared your hearts. 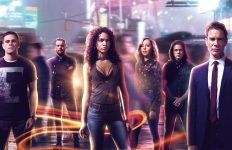 Travelers ran for two seasons as a co-production of Showcase in Canada and Netflix worldwide. For its third season the Canadian premium cable outlet exited the partnership, making Travelers a Netflix original. 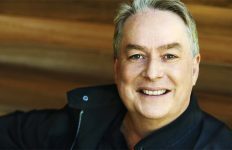 The show starred McCormack as the leader of a team from the future, whose conscious minds are sent back to the present — into the bodies of people about to die — in order to avert a series of catastrophes and avert an apocalyptic future. MacKenzie Porter co-starred alongside Nesta Cooper, Jared Abrahamson, Reilly Dolman, and Patrick Gilmore. Gilmore followed Wright to Travelers from Stargate Universe. Travelers also saw Stargate favorites like Jennifer Spence, Amanda Tapping (“Samantha Carter”), Teryl Rothery (“Janet Fraiser”), and Tom McBeath (“Harry Maybourne”) in recurring roles. All episodes of the show will continue to be available on Netflix. Does Season 3 give fans closure? I only recently started watching. I’d like to second Jacob’s question about whether or not it ends with closure. It ends in a unique way that gives closure while still giving a huge hook if season 4 had happened. The story for everyone is wrapped up. end of Program 1. SO Program 2 starts??? Yes. It gives closure. It gives you a punch in the heart, but there’s plenty of closure. Wow, that’s sad. Loved the show, wish it could last 10 seasons minimum. Why don’t they advertise these shows? Never heard of this, but want to watch it…Maybe if they advertised better they’d have had even more viewers. Yes it ends on what I would call one of the best Sci Fi endings I have seen. It was one of my favourite shows but I am glad the end of season 3 both ends it and also leaves it open for the future. The entire season to that point was not rushed like the feeling you would get at the end of StarGate Atlantis and the wormhole drive etc.